This is my last post for the year 2011 and I am so happy that I wrote over 90 articles this year with many of them printed in national papers. At this time I could hear the last minute count down to the New year and here I am doing the thing I love the most -blogging. Fire works are cracking in the Phuntsholing sky and hundreds of people are screaming but I am celebrating the 202882 hits and 228 followers on my blog. As the year ends I would like to thank all my readers for inspiring me and cheering me up in doing this thing that means the world to me. You have made me a serious thinker from a casual blogger, and given me so many reason to find joy in simple things. My host family and their friends are all gone for party but I am here with my family writing this because this is what I want to do each day of 2012 and not partying. We hold a strong belief that we will keep doing the same thing that we did on the new year day, and I sure don't want to be drunk and out partying every day, therefore I am here putting my babe to sleep. In 2012 I am eager to see how the biggest lie of mankind will be exposed. I have never believed in the end of the world but many secretly do and each day of the year is going to be very painful for them, I just wish they could live their life each day at a time. And finally My New Year Resolution (motivated by my friend Neil): All this years I drank Whisky with Coke and I became sick, I tried with soda and still felt bad, and tried with water, which still made me unwell. Now I promise I will never drink Coke, Soda and Water! Seriously I am resolute that I will not change any good thing in me and will try to work on doing away with every bad energy that comes out of me. As always I will never overstay in the school impressing my principal. I will reach home five minutes after the final bell and be with my wife and children. I will always take my family along with me on all my workshops. I will call my mother every two days and tell her something to make her smile. I will spend lesser time watching TV and browsing. I will read more books than webpages. I will only drink at home and on weekends. And I will write more than 100 articles on my blog in 2012. See you next year:) with the sunrise tomorrow morning! Thanks guys, seriously you made this out of me and on the new year eve I spent quite some time thank you all. Keep reading, because this new year I am going to go madly and insanely over blogging. Happy New Year sir.. keep blogging.. i am always inspired by your writings.. keep updating.. till than have a joyful year ahead.. I am inspired by your Serials. I don't have much liking for daily soaps but because someone as young as you did such a good job I can't help liking them. Lets continue inspiring each other. i get jerk when i see u n ur writing. u r great and ur writing. for me u r the youngest thinktank of bhutan. Hey Ramu, When will you stop praising me. Honestly I like the way you blow my trumpet each time I come up with something. You are one among very few people who could appreciate with honesty. Hi PaSsu..what a lovely New Year Resolution to start it with what you love a lot:writing. Most people would have opted for partying. Btw..I don't know what your name means but I like it a lot. I find the name very unusual. It somehow suits you. My new year resolution or "hallmark of Success" is writing without expecting anything. Thanks for liking my name, it's one of my best creation. Just been dropping by for first time on your Blog, Passu, but I'd tend to like your thought. 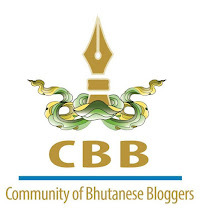 I've been looking for blogger out of my region to share and to hear the voice. It's wonderful making friendship through blog. To be honest, I just hear so quite fewer about Bhutan which I guess the country must be beautiful. You are the first Indonesian Blogger I know and I will love to connect with you. Thanks for liking my thoughts, though I have nothing special to offer.